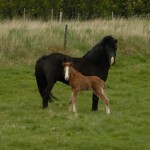 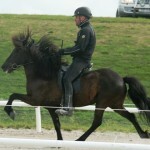 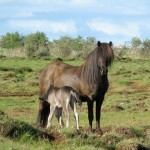 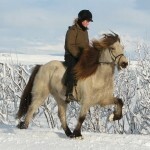 About 90 % of the horses now living in Vorsabae 2 have the mare Litla Jörp 1 frá Vorsabae 1 somewhere in their pedigree. 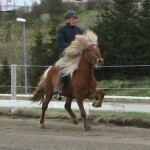 Björn bought her in 1978. 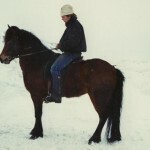 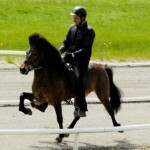 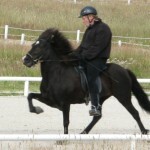 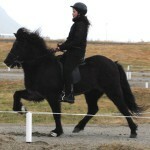 By then she was already 15 years old and fully trained, being used as a riding horse by her owner. 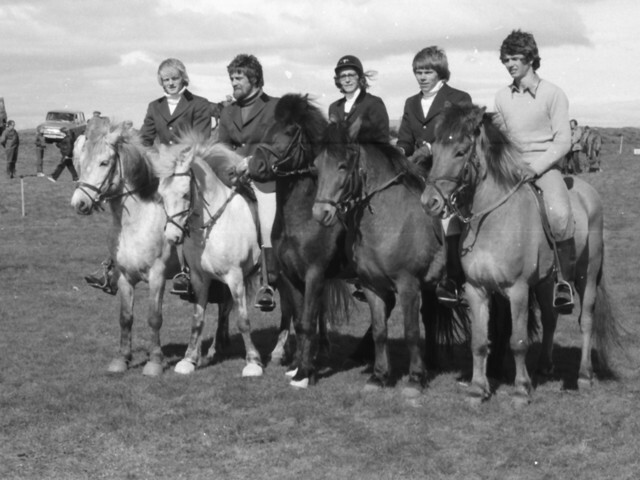 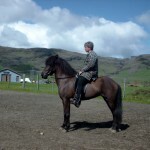 Björn convinced Þorkel Bjarnason, who was The Horse Breeding Advisor in Iceland at that time, to judge the mare. 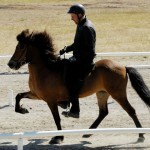 She received 8,00 for conformation, 7,78 for riding ability and 7,89 as an overall score, a fine result, considering her lack of training. 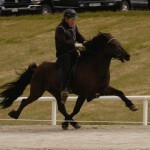 In the summer Björn participated in a club-competition, ending up on 3rd place in the B-Flokkur (Four-gait) and 4th place in Tölt T-1. 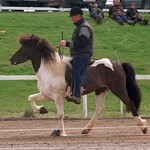 The most famous offspring of Litla-Jörp is Gassi frá Vorsabae 2, who has always attracted much attention for his elegance and his beautiful tölt. 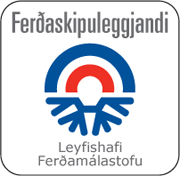 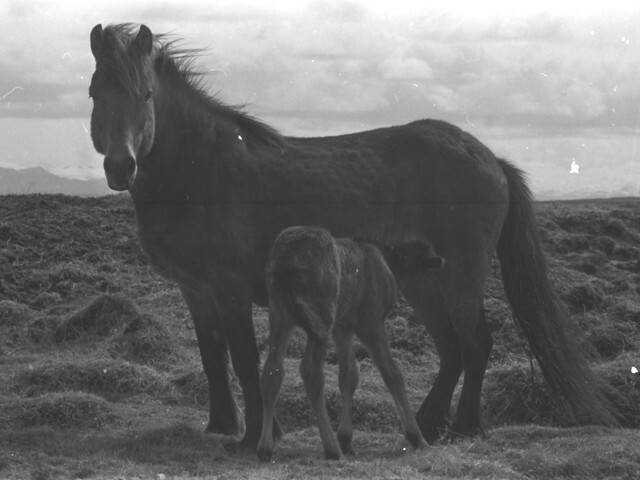 Litla-Jörp 2 (father: Þröstur frá Teigi) and Kolfreyja (Father: Kolgrímur frá Kjarnholtum) are also offsprings of Litla-Jörp 1, as well as the mare Tign frá Vorsabae 2, who is a daughter of Hrafn from Holtsmúla and thereby a full sister of Gassi. 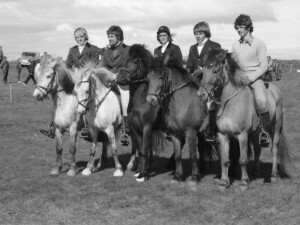 All of these mares have given many offsprings that have received first price. 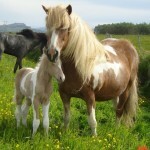 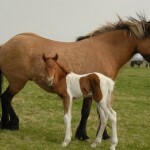 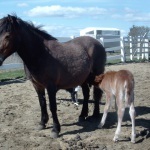 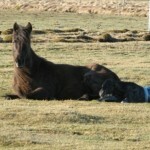 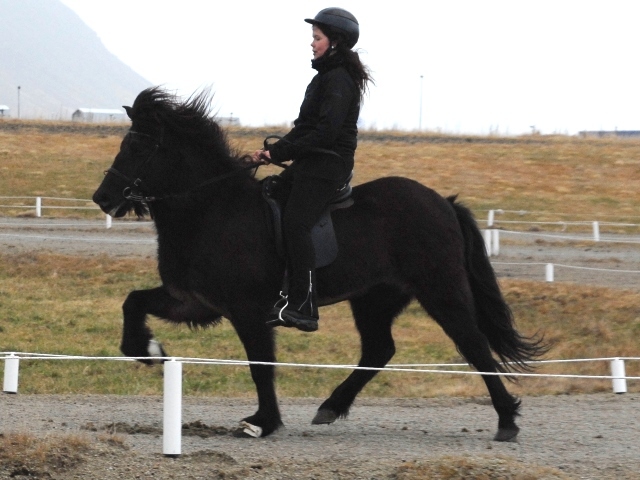 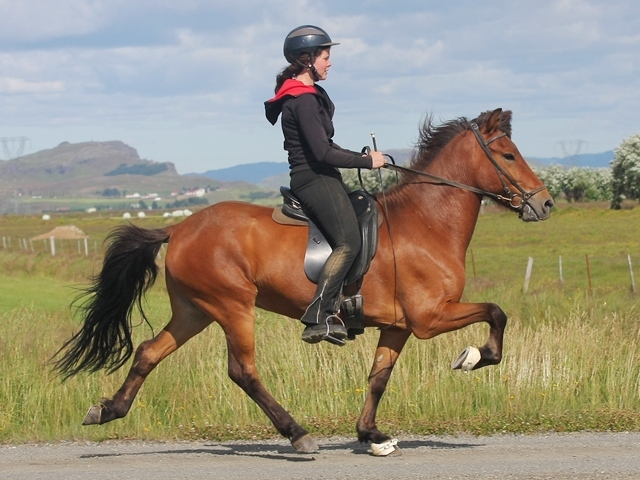 In Vorsabaer 2 there are also a few breeding mares that Stefanía brought with her from Neistastaðir. 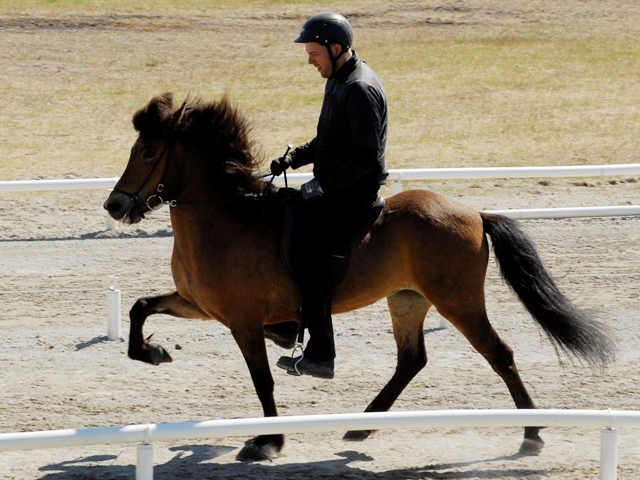 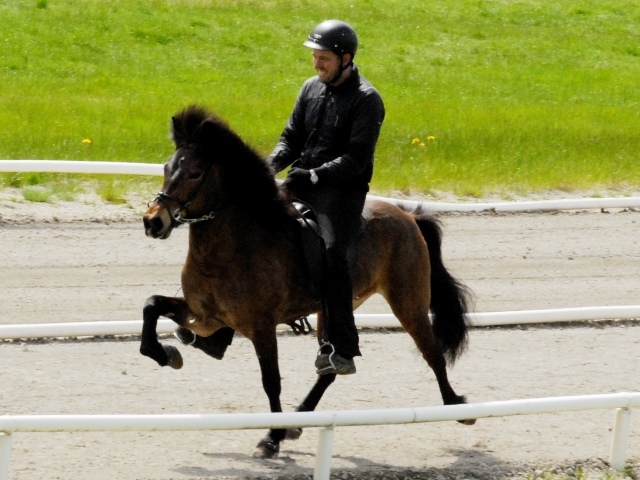 They have as well given good offsprings, for example Assa frá Neistastöðum, the highest-judged mare in Denmark in the year 2000, and Galsi frá Neistastöðum, who won the A-Flokkur (Five gait) at the horse club Fákur in the year 2001. 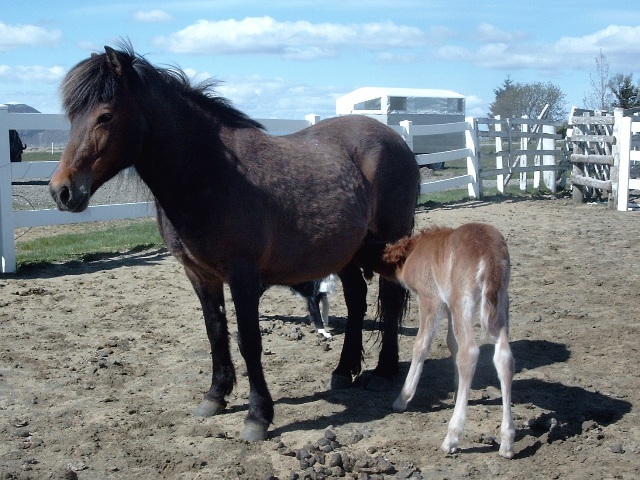 In our horse breeding we put main emphasis on: a long high-set very fine neck, high lift leg actions, cheerful and good temperament. 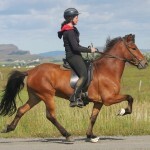 We also put emphasis on softness gaits and various colours.